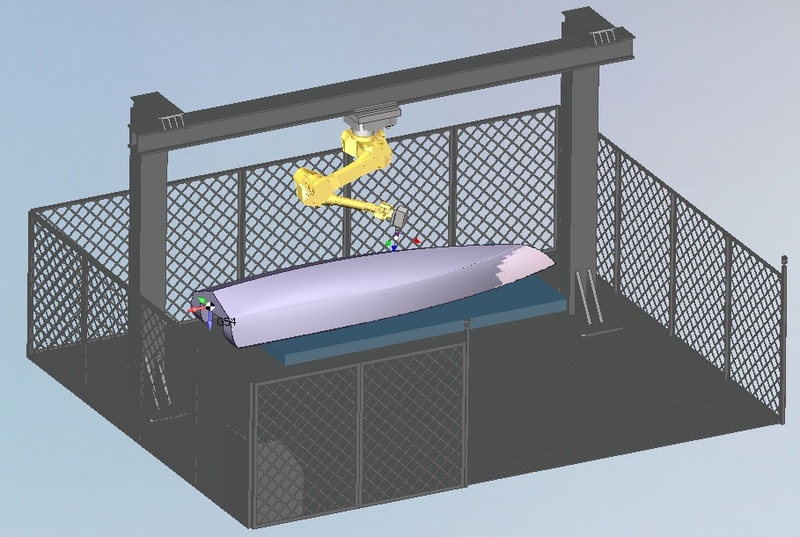 Often for the increase working area the industrial robot is mounted on the rail. The SprutCAM system is allow automatically management up to 3 rails. Robot mounted on the rail. If in the kinematic scheme is present the rail then in the each operations will be enabled a parameters for definition way to move on it. if robot is suspended on the rail and machining is done under it the zero position likely will bring up the first axis singularity. In this case it is necessary move robot towards, specifying the relative displacement of sufficient shifting.